We started the day by taking our Syrenbus (Mermaid Bus) to Ercolano or Herculaneum. 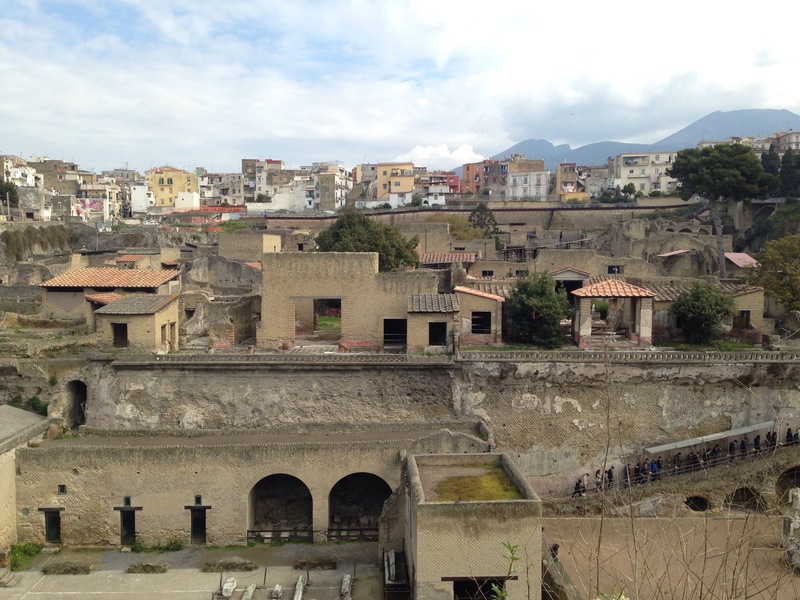 We walked through out the excavated section of Herculaneum. Some of the town is still buried and cannot be excavated due to the road that is now above it. We saw many houses and shops and well as an ancient Roman fast food place! 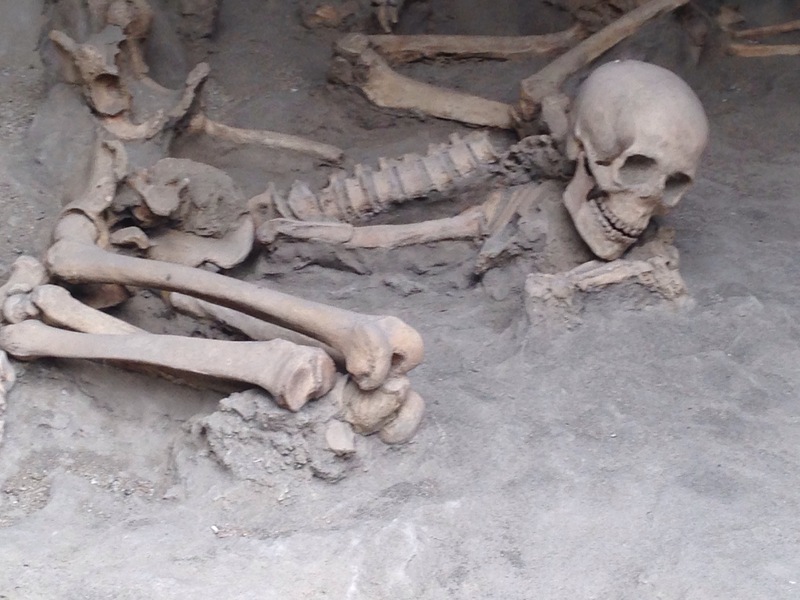 Towards the end of the visit , we saw some skeletons of people who tried to escape by sea, but unfortunately they were not able to. 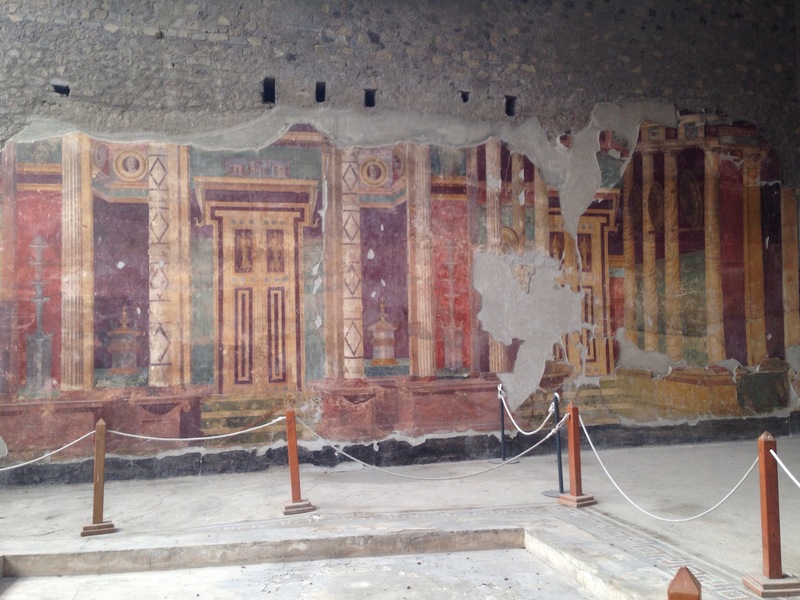 At Oplontis is we saw some frescos on the wall as well as mosaics on the floor. We saw the primitive kitchen which shared a wall with the hottest room of the Roman bath. The villa included a full Roman bath with the three different temperatures: hot, tepid and cold. Thank you for the great photos and updates… We love to see where you have been and your smiling faces. 🙂 It all looks fantastic!